Seek Pleasure and Ye Shell Not Find. The odd thing about pleasure is that if you try to pursue it you won’t get it as much as you could if weren’t trying. This is what the philosophers call the “paradox of hedonism”: that best way to get pleasure is by not trying to get pleasure. Here is an example from my own life. 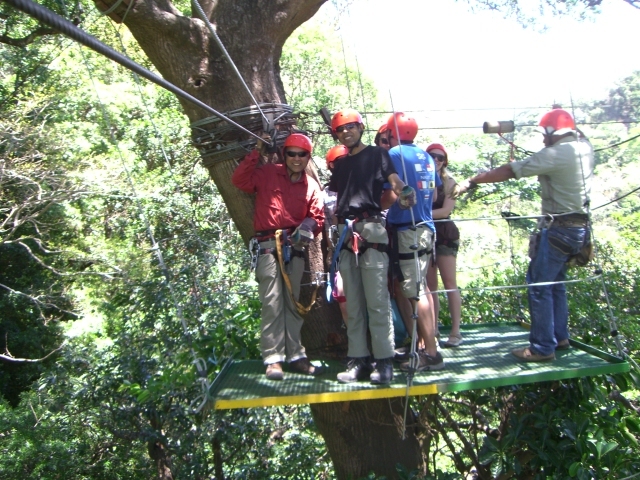 I booked to go on a Canopy Tour and I was expecting to be in the Forest Canopy exploring nature. 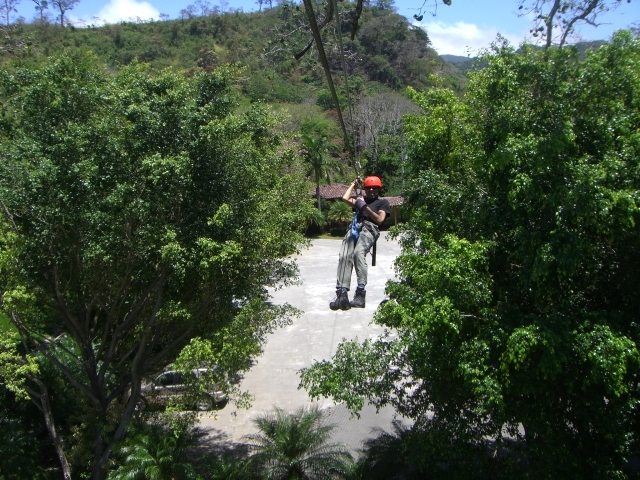 Instead the tour turned out to be zip lining above the trees across a valley. Not even attempting to connect with nature. It was too late to back out. 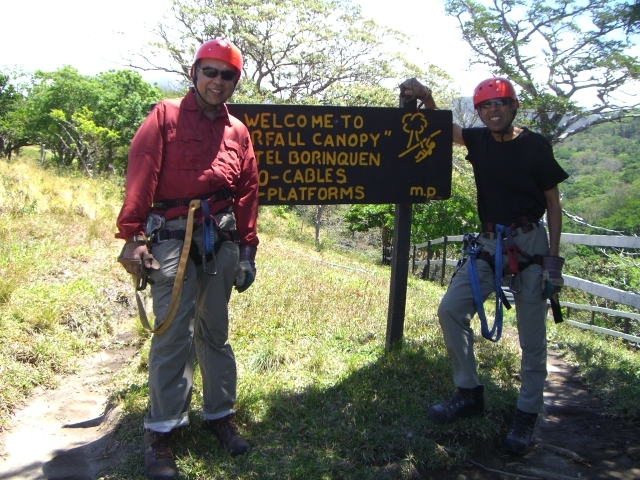 It turned out to be very memorable and enjoyable experience. 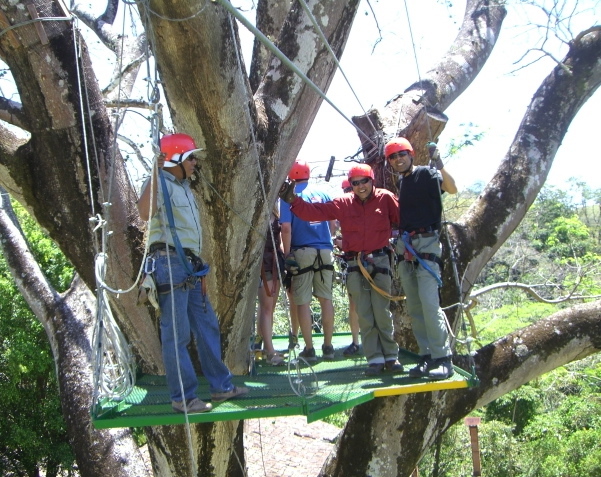 Had I concentrated on having pleasure I would have started by being disappointed that I wasn’t going to be on a real Forest Canopy, then I would have thought I am not in a mood for this titillating activity, I could be having more pleasure by doing something else. I may even have worried about the fear factor too; all because, I waned to pursue pleasure. Luckily I didn’t worry about pursuing pleasure, I didn’t even worry about the fear factor, I was strangely calm and accepting. 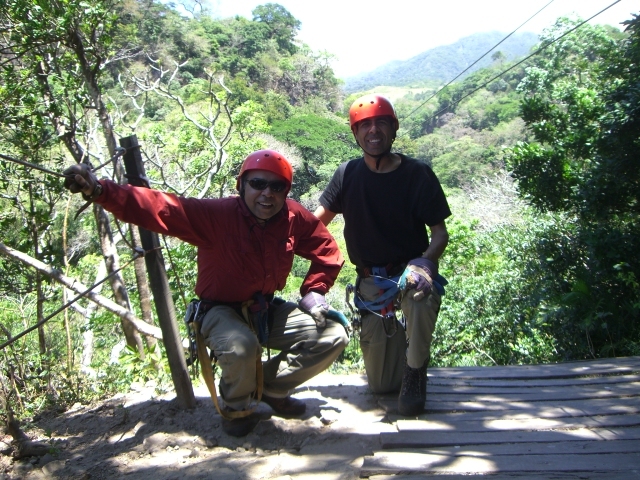 The zip lining activity forces you to be in the present by having to focus and concentrate what you are doing for safety and the awesomeness of the surrounding natural beauty. It turned out to be the most pleasurable day yet. The pleasure of having done this activity will be with me for a while. Here are some pictures of the fun stuff. Beginning of the tour, strangely calm. In gratitude because we survived the first run. Getting comfortable, trying to be superman. Getting closer to the end of the tour. Second to last run, can see the ground. 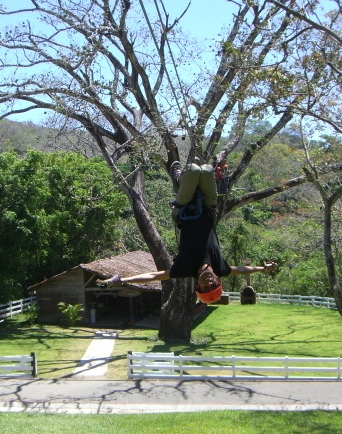 Being a Monkey on the last run. This same principle applies to pursing respect or wanting to do something meaningful. You have to be engaged in activity which will earn you respect or give meaning to life. If pursued directly you will limit the rewards. The Best Things in Life, by Thomas Hurka. Awesome!!!!! Two thumbs up! Loved your adventure this morning Dr. Chana . . . it brought a smile to my face and made me laugh . . . thank you for that . . . and it really made me think about “expectations” and when “what we thought was going to be our adventure/experience” and it isn’t . . . being in the moment and not being disappointed . . . I know there are lots and lots of spiders in Costa Rica. You are not allowed to return to Canada unless and until you show me a picture of at least 2 different ones. It is not always easy to find spiders. Many have cryptic coloration, so it will be WORK, not PLEASURE. Thus, this will be pleasure for me, not you. teehee. 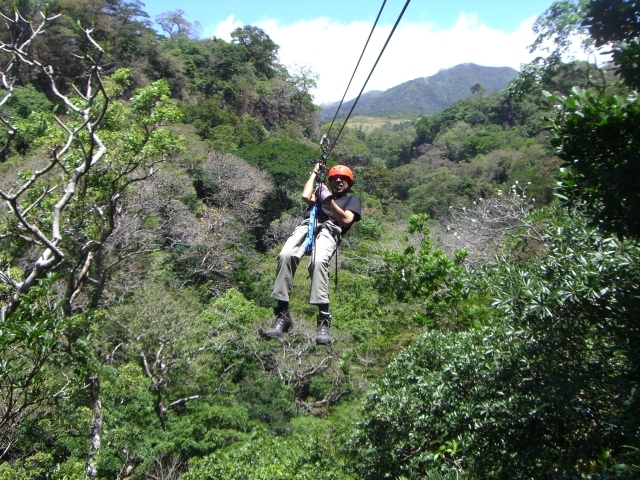 Oh… you can still seek pleasure… that is what you did in the first place, which gave you an opportunity to experience ziplining. So it seems wrong knock pleasure down. The good thing was that you accepted what came your way and enjoyed what you have. The 2 are not mutually exclusive… right? Here I am saying if you specifically go out seeking pleasure you are unlikely to find it because usually one have a preconceived idea of what that is going to be; but life being what it is, the imagined pleasure will not be the same and result will be disappointment. You are more likely to experience pleasure by doing some activity which will give you pleasure. 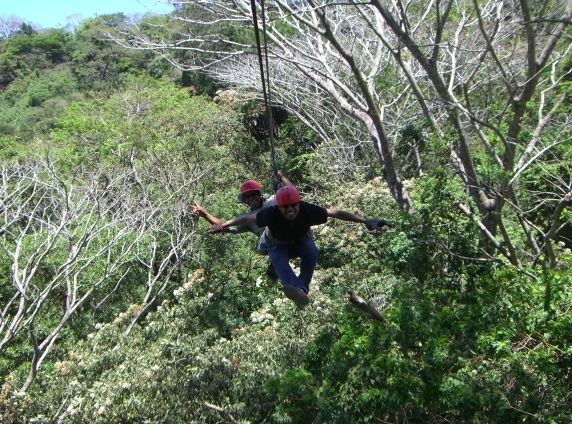 I didn`t go ziplining to seek pleasure; but by ziplining I did find unexpected pleasure. The notion is pleasure comes through some activity, unlikely to find it if you specifically go out seeking for it.